On the far northern, most thinly populated shores of the Westfjords in Iceland flows a little brook that the inhabitants believe to have great healing power. It is said that anyone who drinks one cup of the brook’s water per day, cannot die— which in turn gives the body the opportunity to heal itself. Even now, the brook is still called Vitality Brook. This was in the days when the life of the Icelandic nation hung by a thread. The greatest volcanic eruption in the history of Iceland began in 1783, with the earth spewing fire and toxic gases for nearly an entire year. Men and beasts were decimated, grass could no longer grow, the sea froze and hindered fishing. A plan was proposed by the Danish authorities, then the colonial lords of Norway and Iceland, to relocate all able-bodied Icelanders to Denmark and Finnmark in Norway. This historical fact forms the framework of this novel. 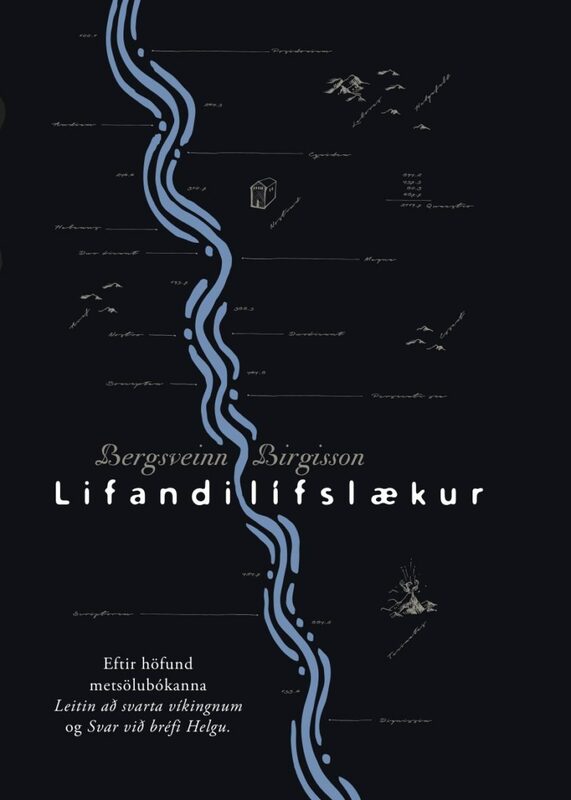 The Danish authorities´representative sent to Iceland, a scientist, falls in love with a local woman; he gets severely injured one one of his expeditions, and his beloved goes looking for the healing water which she strongly believes will cure him. Birgisson elegantly tells a lovestory while discussing science, faith, and colonialism. texts that I've read here in a long time. A remarkable story which gave me goosebumps. I feel no need to read a thriller this christmas, having read Vitality Brook will keep me satisfied for a while"
5/5 stars; Vitality Brook will find its way to many readers; this adventorous and well written story deserves it (...) masterfully and powerfully written (...) Incredibly funny! (…) Vitality Brook is a historical novel, but also something else and much more. By merging the historical together with motifs from folklore tradition and elements of another amazing Icelandic genre, namely the stories of getting lost, BB has staged something difficult to tear away from, where the history of the country, nation and human nature for the previous thousands of years is depicted. Can you ask for much more than that?